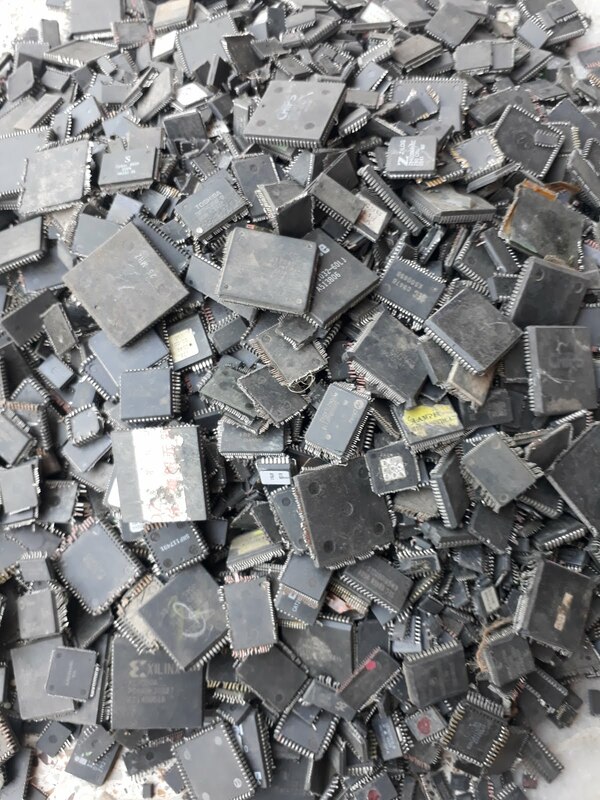 Precious Metal Recovery & Computer Scrap Price: How to Recover Gold from Cell phones? How to Recover Gold from Cell phones? The cell phone has become an essential thing in our life today. We seem to be incomplete without cell phones. And it is a plus point for the E-waste recyclers. There is a great variation in the yields of precious metals from the cell phones of different makes. I mean, you don’t get the same amount of precious metals from all the cell phones. Branded mobile phones give you better gold recovery than the cheaper ones, especially, made in china. 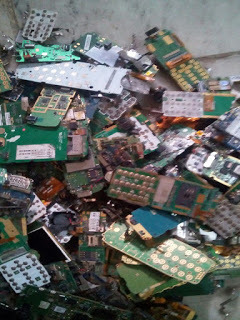 If you dismantle a cell phone, you will find the gold on its motherboard (PCB), the connectors in cell phones are gold plated. The chips on the mobile motherboard also have gold in them. Before recovering gold from the cell phones, you have to dismantle them. The ceramic capacitors in the cell phones contain silver, gold, palladium and sometime platinum also. So, first of all remove all the components from the motherboards carefully. There are many videos on YouTube that explain the dismantling of cell phones. You can watch one or two videos and understand the whole process. First, we will talk about gold recovery from mobile PCB. These days there are many non cyanide gold recovery chemical compounds with different brand names available in the market. You can search them on the net and buy one. They are very economical and most of them are made in China. Their brochures provide you complete details about how to use the chemicals for gold recovery. So, for gold recovery from mobile PCBs, you can use that chemical. Another option is cyanide gold recovery also. But cyanide is harmful. If you need some help about it. You can write to me also. Secondly, we need to recover gold from gold plated connectors used in mobile phones. You can use nitric acid for it. Gold recovery from gold plated pins through nitric acid is also a good process. But you should do it in an open place or an appropriately ventilated room. Thirdly, you have to process chips for gold recovery. Chips are first burnt, and then ground into a fine powder. Then the pins are separated from the powder/ash through a sieve. Store these pins, and when you have a saleable quantity of these pins, you can sell them to a smelter. The fine ash contains the very thin gold wires used in bonding in the integrated circuits. So, you can wash away all the ash with water using a metal bowl. This method is known as panning. There are many companies who sell these panning bowls. They show you a demo also. It is not very expensive. You can get it at an affordable price. After removing the ash, you have silicon chips and golden wires left in the bowl. You can recycle that gold with aqua regia. Apart from chips, there are other components also on the motherboard that contain gold. They can also be treated with aqua regia for gold recovery. The information you have posted is very useful..Thanks for sharing.